Thank you for joining us today! We hope you are encouraged, challenged and strengthened by God’s Word and the fellowship of our church family. If we can be of any assistance to you please let us know. What you should know about us…..
We believe that God is worthy of all honor. We believe the Scripture is all sufficient. We believe Christ-likeness is the aim of the believer’s life. We believe we are to share the good news with everyone. We believe He is coming back soon! Sunday Mornings: We will be practicing for this year’s Christmas program “Finding Christmas”. Please make plans to be there if you can. 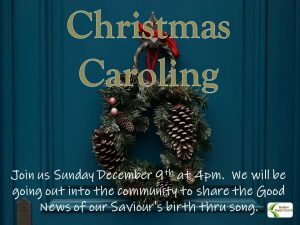 Sunday December 9th: Please pray about joining us as we will be celebrating and sharing the Good News of our Saviour’s birth thru Christmas Carols. We will meet at the church @ 4pm. For those who would like to join us, afterwards we will enjoy a meal as church with Bro Karl Andersson. 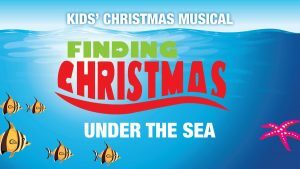 Sunday December 23rd: Please make plans to join us as our Kids will be ministering thru the play “Finding Christmas”. Invite a guest and be encouraged as we see what the true meaning of Christmas really is!!! We are in need of more helpers for the nursery. Church Van Project – Fund Raising: $11,861.50. Give as the Lord leads! Mark your envelopes “Van Fund”.